Round 2 of the NFL playoffs gets underway on Saturday with the first game being in AFC showdown between the Indianapolis Colts and the Kansas City Chiefs. The Colts how to first-round bye in the opening weekend, while the Colts dispatch the Houston Texans in the wild-card round 21-7. These two teams have met four times in playoff history, with Indianapolis winning them all. The Indianapolis Colts returned to the playoffs for the first time since 2014, absolutely dominating the Houston Texans in Houston, 21-7. The Indianapolis defense held the Texans to 105 yards rushing and 322 total yards of offense. Three times Texans quarterback Deshaun Watson was sacked as the Houston quarterback finished 29 of 49 for 235 yards, a touchdown and an interception. 79 of the 105 yards rushing the team had came from Watson as the Colts dominated the line of scrimmage, allowing Lamar Miller just 18 yards rushing on five carries. Quarterback Andrew luck returned to the playoffs for the first time since 2014, completing 19 of 32 passes for 222 yards and two touchdowns. However, it was Marlon Mack who was the big story, carrying the ball 24 times for 148 yards and a touchdown, a 6.2 yards per carry average. Mack will have to play a big role in this contest as well. 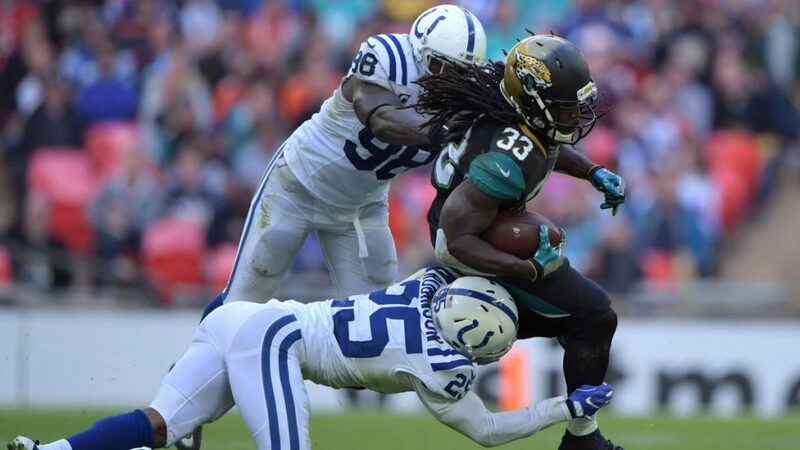 The Indianapolis running back has 908 yards rushing and nine touchdowns on 195 carries this season. Back became the big story this season for Indianapolis, as he sat out four of the first five games of the year, but had four games of over 100 yards, including in two of the last three. Wide Receiver T.Y. Hilton had another impressive season, making 76 catches for 1270 yards and six touchdowns and Eric Ebron led the team with 13 touchdown receptions. Kansas City is going to put up points, and this team is going to have to score to win. Indianapolis average 26.7 points per game while allowing 20.6 points per contest. They gained 388.3 yards on average per contest while allowing 338.4 yards, including an impressive 101.8 yards rushing per game allowed. When the 2018 season began, a lot of people questioned head coach Andy Reid’s decision to go with second-year quarterback Patrick Mahomes. All Mahomes did was put up an MVP type season, throwing for 5097 yards and 50 touchdowns, becoming just the third quarterback in NFL history to reach the mark. Even more impressive with the fact that he threw just 12 interceptions. The Chiefs earned the top spot in the AFC with a 12-4 mark, tying for the AFC West lead with the Los Angeles Chargers, but winning the tiebreaker to earn the first week off. Kansas City led the league in scoring with 565 points and was second in net point differential at 144. Kansas City would start out 9-1 before losing in one of the most exciting games of the season, falling to the Los Angeles Rams 54-51 on November 19. They would lose two of their final three games, but closed out the season with a decisive 35-3 victory over the Oakland Raiders. Travis Kelce established himself as the best tight end in the NFL with 103 receptions for 1336 yards and 10 touchdowns. Tyreek Hill had 87 catches for 1479 yards and 12 TDs. While the offense has been impressive, it has not been the same since running back Kareem Hunt was released by the team due to a domestic incident. No other player rushed for more than 272 yards, making the offense a bit more one-dimensional. Kansas City averages 35.3 points per game while allowing 26.3 points per contest. They are averaging 425.5 points per game, including 309.6 yards per game passing. The defense is allowing 405.5 yards per game. 7-0 ATS against teams with a winning record. 6-2-1 ATS in the last nine meetings against AFC teams. 1-4 ATS in their last five games at home. 1-5-1 ATS in their last seven games. 1-9 ATS in the last 10 playoff games. It was another impressive season for the Kansas City Chiefs, but we have seen this story before. The team will rattle off 12 victories or more, only to falter when playoff time comes around. This is probably the worst possible matchup for them, as the Colts have won four straight meetings between these two teams in the playoffs. Indianapolis is also 7-1 ATS in their last eight meetings in Kansas City and they are 11-4 ATS in the last 15 meetings overall. There is no doubt that the Kansas City Chiefs know how to score, but they don’t play very good defense. They are the worst team in the playoffs defensively, while the Colts are one of the best. Both teams have outstanding quarterbacks with Indianapolis having the edge in the running game. Kansas City may win this game, but they will not cover the spread. The total is set at 56.0, which is a lot come playoff time, but the last time these two teams met in the playoffs the game ended 45-44. Combined, these two teams are scoring 62 points per game while allowing 47 per contest. In the last eight meetings between these two teams the total has gone under six times. That would seem to be a trend that you can sink your teeth into, so we take that trend here as well. The Kansas City Chiefs win, 28-27.